Need to get a 50-foot pole light working? Do you have a row of lights that just keep going out? Do you have a new piece of equipment that needs power? 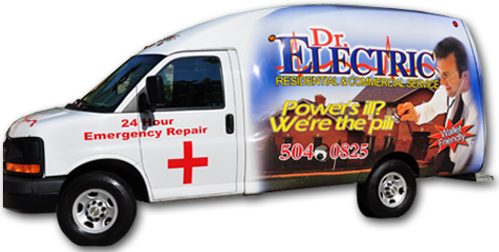 Dr. Electric can help keep your business running and well lit! Home Depot, Mapco Express, and Sonic are just a few of the businesses that we service as J M Electric, LLC, the parent company of Dr. Electric. The technical and specific issues of a business operation are as second-nature to our technicians as an outlet in a home.